Ghent embarks on a radical experiment today, seeking to make every Thursday a day free of meat and of the fish and shellfish for which the city is renowned." The Belgian city of Ghent is 30 miles west of Brussels, with a population of around 200,000. Just over a week ago, this small city committed to taking a major step forward in environmental responsibility, setting an example for the rest of the world to follow. City officials have declared that meat intake is a major contributor to pollution, and say that making one day a week meat-free "is good for the climate, your health and your taste buds." Tom Balthazar, a Ghent city councilor who is backing the initiative, quotes the United Nations' Food and Agriculture Organization (FAO), when he says that meat production is responsible for 18 percent of greenhouse gases. Ghent's officials are teaming up with Belgium's national vegetarian organization, EVA (Ethical Vegetarian Alternative), and adopting Thursday as a vegetarian day for officials. From September, the city's schools will be making a meat-free meal the "default" option every Thursday. At least one hospital wants to join in. An EVA statement said: "Ghent, in co-operation with the vegetarian organization EVA, is determined to go the extra mile in our common battle against climate change. Other Belgian cities have already shown interest in following Ghent's example." The city council was persuaded to back the idea when vegetarian chef Philippe van den Bulck served a gourmet banquet at the town hall. Philippe Van den Bulck is an upcoming young chef who has worked in some of the finest restaurants all over the world, including elBulli in Spain, which is considered by many to be the best restaurant in the world. The city threw a party to celebrate the first veggie day. Recipes were distributed, as well as a list of vegetarian restaurants (Ghent has more vegetarian eateries per capita than London, Paris or Berlin), and demonstrations were given on how to cook a 'green' meal. "The revolution starts today (Thursday 14 May) with a foodie festival at the vegetable market. Ninety thousand town maps listing the best eateries for the meat-shy are being handed out. Recipe booklets and food samples are being distributed, with fair trade wine to wash down the nibbles. A nearby restaurant is serving a four-course veggie lunch for €12. The kebab house on the market is eschewing the doner for broadbean falafel..."
"We hope that the university, other institutions, enterprises and other towns will jump on the train," said the director of the local branch of EVA. Other towns in Belgium and the Netherlands are making inquiries; there has even been one from Canada. "If everyone in Flanders does not eat meat one day a week, we will save as much CO2 in a year as taking half a million cars off the road," said the EVA. This reminds me of a story from Taiwan last year, where one million people pledged to be vegetarian as part of the effort to reduce carbon emissions and fight global warming. "More than one million people in Taiwan have pledged to help cut carbon emissions by being a vegetarian. Taiwan's population is about 23 million, and the one million vegetarians would reduce at least 1.5 million tons of carbon emissions in Taiwan in one year. The Union of NoMeatNoHeat made the announcement during its anti-global warming drive. Many prominent politicians, such as the legislative speaker, the environment minister, and Taipei and Kaohsiung Mayors all pledged to become vegetarians. The Union said if a person eats only vegetables for a whole year, roughly 1.5 tons of carbon emissions can be cut." The inspiring initiatives from Taiwan and from the town of Ghent are setting an example for the rest of the world to follow. "The United States and China, which contain 25 percent of the world's population, combine to consume 35 percent of the world's beef, over half of the world's poultry, and 65 percent of the world's pork." "For a decade now, the image of Leonardo DiCaprio cruising in his hybrid Toyota Prius has defined the gold standard for environmentalism. These gas-sipping vehicles became a veritable symbol of the consumers' power to strike a blow against global warming. Just think: a car that could cut your vehicle emissions in half - in a country responsible for 25% of the world's total greenhouse gas emissions… Last year researchers turned their attention to another gas guzzling consumer purchase… The researchers found that, when it's all added up, the average American does more to reduce global warming emissions by going vegetarian than by switching to a Prius." On the bouncy play platform outside Ghent's 15th century slaughterhouse, the banana was thumping the beefsteak. The two boys battled in the drizzle yesterday, the one in the fruity yellow costume serving up another veggie victory over his rival in bloody scarlet. The parent onlookers laughed and munched another soya fritter. Mmm, yummy, said the man with a heart condition. They queued five-deep in the rain to dip their organic, wholegrain bread in the aubergine caviar, to smear their lips with eggless mayo. Another pure fruit vitamin cocktail under the marquee? "This is pretty special, pretty unique," said Tobias Leenaert, an anti-meat campaigner. "An entire city proclaiming one day a week a veggie day." Ghent embarks on a radical experiment today, seeking to make every Thursday a day free of meat and of the fish and shellfish for which the city is renowned. On the eve of what is being touted as an unprecedented exercise, the biggest queue in the Flemish university town of 200,000 yesterday was for signatures – to collect a bag of wholefood goodies and sign up for "Donderdag – Veggie Dag", turning the burghers of Ghent into pioneers in the fight against obesity, global warming, cruelty to animals and against the myth that meat-free eating amounts to a diet of soggy lettuce, a slice of tomato, and a foul-tasting bean burger. The city council says it is the first town in Europe and probably the western world to try to make the entire place vegetarian for a day every week. Tom Balthazar, the Labour party councillor pushing the scheme, said: "There's nothing compulsory. We just want to be a city that promotes sustainable and healthy living." Every restaurant in the city is to guarantee a vegetarian dish on the menu, with some going fully vegetarian every Thursday. From September, the city's schools are to make a meat-free meal the "default" option every Thursday, although parents can insist on meat for their children. At least one hospital wants to join in. A small, dreamy city of spires, bicycles, and canals, prospering since the Middle Ages, Ghent may be on to something. It appears to be tapping into a zeitgeist awareness of the cost to human health and the environment of intensive meat and dairy farming. Other towns in Belgium and the Netherlands are making inquiries; there has even been one from Canada. "We hope that the university, other institutions, enterprises and other towns will jump on the train," said Leenaert, director of the local branch of Flanders' Ethical Vegetarian Association (EVA). The organisers cite UN data arguing that meat production and consumption are to blame for 18% of greenhouse gases – more than cars. "If everyone in Flanders does not eat meat one day a week, we will save as much CO2 in a year as taking half a million cars off the road," said the EVA. "I never touch meat, unless I'm at my grandmother's and I need to be polite," said Karien De Temmermann, a young EVA member. "This is not a plan for everyone to be forced into vegetarianism," said Wim Coenen, a vegan who works as an importer of vegetarian pet food from Italy. "But it will reduce our carbon footprint. 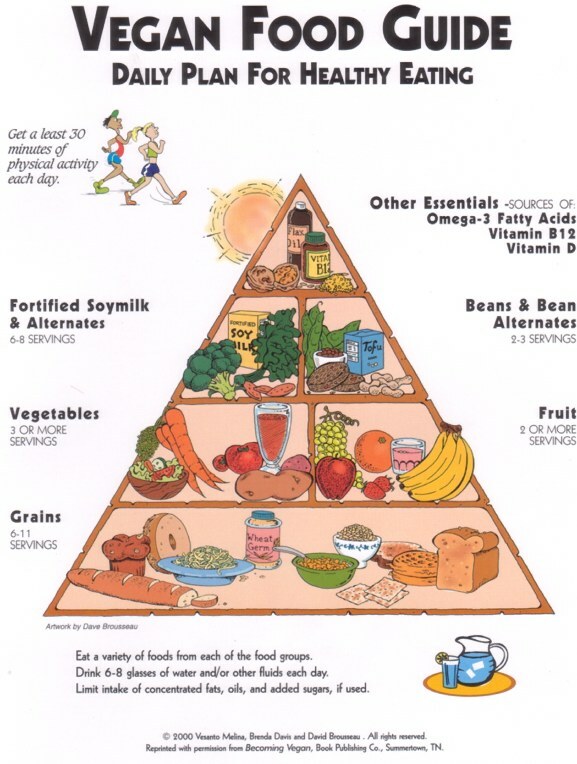 The basic premise is to introduce a way of lessening our meat consumption." The revolution starts today with a foodie festival at the vegetable market. Ninety thousand town maps listing the best eateries for the meat-shy are being handed out. Recipe booklets and food samples are being distributed, with fair trade wine to wash down the nibbles. A nearby restaurant is serving a four-course veggie lunch for €12. The kebab house on the market is eschewing the doner for broadbean falafel and haloumi cheese. Ghent boasts a string of outstanding restaurants and is well-known for gourmet vegetarian cuisine. The council reckons it has more veggie eateries per capita than London, Paris or Berlin. The Lib-Lab coalition running the city was persuaded to back the idea when Philippe van den Bulck, an outstanding culinary talent, served up a veggie gastronomic tour de force at the town hall. He is one of Flanders's top chefs and food writers, doing time at El Bulli in Spain, to many the best restaurant in the world. He is also a vegetarian. Comment: Join the ethical evolution! The best thing you can do for yourself, the animals, and the planet is to switch to a plant-based diet. GO VEGAN TODAY! There is an abundance of information out there; get informed and get on board. Congrats, Ghent! MONTREAL – For your kids' future, your health, the tortured animals, to lose weight, to slow climate change, to improve biodiversity, to reduce poverty ... experts say these are all good reasons to cut back on your meat consumption. Quebec followed in the carbon-reducing footsteps of Britain, the United States, Holland, Taiwan, France and the rest of Canada Friday with the official launch of Lundi sans viande (Meatless Mondays), an awareness campaign designed to encourage consumers to do without animal products at least one day a week. A similar cross-Canada campaign was launched in Vancouver last fall. "Meat is simply not necessary to maintain a healthy diet, and reducing your meat intake can improve your health," said nutritionist Anne-Marie Roy. The raising and transportation of livestock for meat produces 18 per cent of global greenhouse gas emissions, more than all forms of transportation combined. "If all Quebecers decided to go meatless on Mondays, greenhouse gas emissions from this province would be reduced by 2 million tonnes per year," said Stéphane Groleau of Les amis de la terre Québec. Asked why the campaign in Quebec is on Mondays, when "vendredi sans viande" would be more alliterative, Groleau said organizers wanted to join the international campaign. "Also, we wanted a clear distinction between the old religious obligation of not eating meat on Fridays," Groleau said. Roy added Monday is a good day to start new habits. Hockey player Georges Laraque, actors Patricia Tulasne, Jacques Languirand, Joël Legendre and other Quebec celebrities were on hand to launch the campaign at the Expo Manger Santé et Vivre Vert at the Palais des congrès. Laraque, who eats no meat or dairy products, helped Roy prepare a "nutritionally complete" meal of raw kale, olive oil, sea salt, soya beans, carrots, red peppers, and a sesame butter dressing. Restaurant chain Commensal catered the launch with meatless hors d'oeuvres, such as squash and tofu pastry pockets and cherry tomatoes stuffed with tabouli. Vegetarians are emerging as a powerful economic force, reshaping the city’s food business and cuisine. Both Vancouver and Toronto were recently listed among the top 10 most vegetarian friendly cities in North America by the People for Ethical Treatment of Animals. Hardly surprising since one in 10 Canadians now self-identifies as a vegetarian for moral, philosophical or health-related reasons, according to an Ipsos Reid poll conducted for Agriculture and Agri-Food Canada. An even more important finding in AgCanada’s 2005 report, Canadian Food Trends to 2020, is that up to 40 per cent of Canadians will seek a meatless meal at least some of the time, creating a critical mass of spending on vegetarian ingredients at retail and in the restaurant sector. The shift in eating habits has grown the mock meat industry into a $1-billion-a-year business in little more than a decade, said PETA’s Amanda Fortino. Vegetarians are emerging as a powerful economic force, reshaping the city’s food business and cuisine. The shift in eating habits has grown the mock meat industry into a $1-billion-a-year business in little more than a decade, said PETA’s Amanda Fortino. Happy Cow: Global directory for vegetarian and vegan restaurants and businesses. World Vegan Day is an annual event celebrated on November 1st, by vegans around the world. The Day was established in 1944 by Louise Wallis, then President & Chair of The Vegan Society UK. Join the movement - celebrate a plant-based lifestyles & take a step nearer to ending the use & abuse of other animals. Good for the environment and your health, too. Comment: Meatless Monday encourages the belief that there is a morally coherent distinction between flesh and other animal products. There isn’t. If you consume meat or dairy on Monday, you’re still participating directly in the suffering, death, and exploitation of animals. 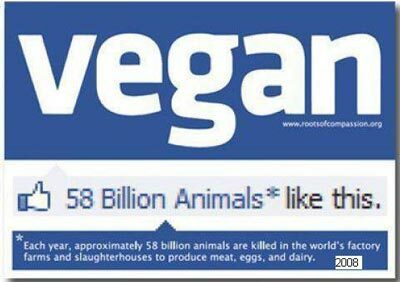 Animal rights means being vegan 365 days a year. Nothing less. Animals have an inherent value other than their use to humans. They are not objects or resources to be exploited. They want to live, and they deserve that right. The Abolitionist Approach. Will incremental reforms lead to reduced animal use or to liberation? It’s an endless debate, with strong viewpoints on either side. 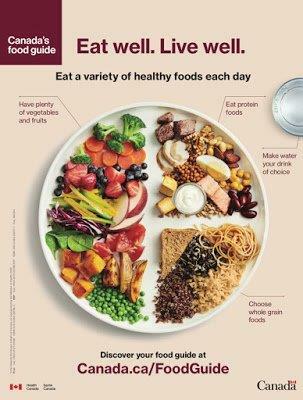 Of note, too, is that unlike previous revisions of the food guide, industry lobby groups like meat and dairy, didn’t have an opportunity to meet one-on-one with Health Canada and instead had to submit their comments on the guiding principles along with the rest of the general public. That was a welcoming step forward!